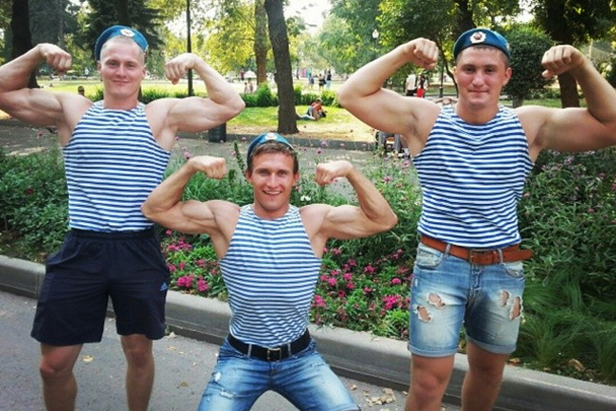 Last Saturday, the streets of Russian cities were crowded with people in striped shorts called ‘telnyazhka’ carrying flags to celebrate Paratroopers’ Day. If you don’t know what a telnyazhka is, we’ll tell you all about it! Dobrolet, the only low-cost airliner in Russia has temporarily grounded its planes due to sanctions. Last weekend was Russians’ last chance to take low-cost flights. Five paintings worth 77 million rubles were stolen from the Isaac Levitan Home and Museum. Russian internet users continue to guess how authorities want to implement their idea of using passports to access public Wi-Fi hotspots. Coca-Cola advertisements are gradually disappearing from Russian television. The mostly likely reason for this is sanctions, but there’s another: the Ministry of Health declared that the drink is harmful and promised to raise prices on it. Russians are disappointed with the embargo on entire categories of food from the EU, the U.S., Australia, Canada and Norway and mourn the disappearance of foreign products from store shelves. It’s especially hard to part with French cheese and Norwegian fish.